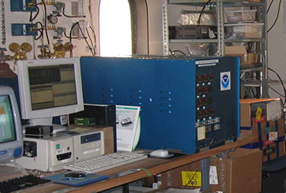 The CATS instruments have been in continuous operation at the NOAA baseline observatories since 1999. While the CATS instruments measure the same compounds as their predecessor, the Radiatively Important Trace Species (RITS) instruments; these gas chromatographs (GCs) also measure several additional trace gases including carbonyl sulfide (COS), halon-1211 (CBrClF2), HCFC-22 (CHClF2), HCFC-142b (CH3CClF2) and methyl chloride (CH3Cl). The CATS GCs are custom built instruments with four separate channels. Each channel is comprised of a pair of separation columns, flow controllers, an air selection valve, and an electron capture detector.